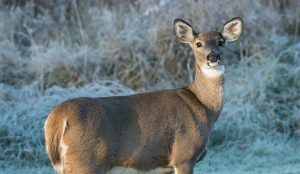 Many of the changes made to the state’s hunting-season structure focus on enticing hunters to kill more antlerless deer — some of them during the traditional fall seasons, and some during a pair of newly created January seasons. CHARLESTON, W.Va. — West Virginians will soon have more days devoted to deer hunting. State wildlife officials have voted to extend the 2018 whitetail hunt into 2019 by creating an entirely new season and by extending an existing season. The new season, dubbed “Mountaineer Heritage Season,” will be open to hunters willing to use primitive weapons — longbows or recurve bows, or muzzle-loading flintlock or sidelock percussion rifles.